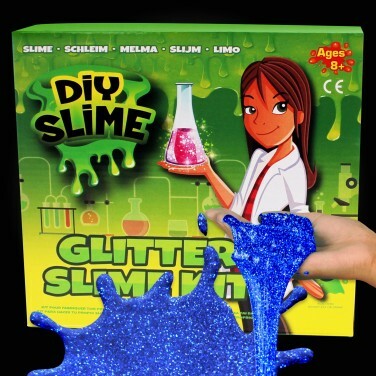 All you need to make your own slime with a sparkling glitter finish! Ever wanted to make your own extra gooey slime? Now you can with a DIY glitter slime set! All you need to make oodles of slime with a sparkling glitter finish, mix the ingredients included, follow the instructions and you can create colourful slime for endless play! 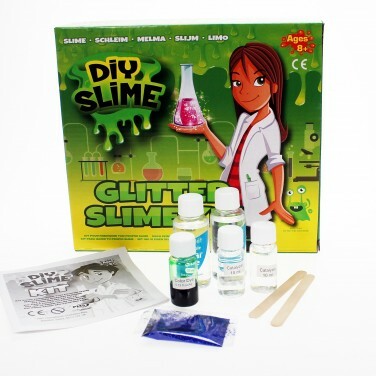 Brilliant fun, this DIY kit is must for kids interested in science and messy play! Create incredible works of art that can't be seen in standard light but fluoresce brightly under UV blacklilght! Soft, squidgy and irresistible to busy fingers, this smart putty is versatile and glows in the dark too! Bounce, stretch and mould smart putty that changes colour under UV light too! Imagine, craft and shape your own creations from oven bake clay and see your designs glow in the dark!